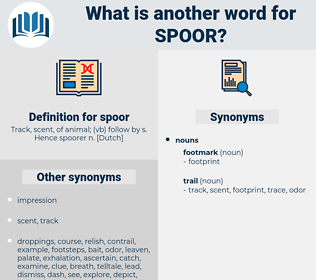 What is another word for spoor? No rain had fallen for some time past, so at first no spoor could be found. In one part of the swamp we came upon the spoor of elk. 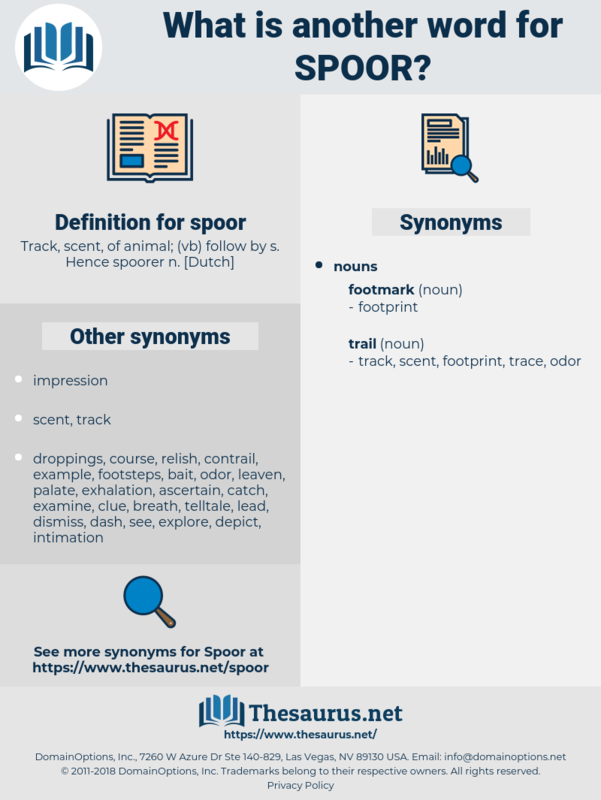 saber, shivaree, shaver, sabre, seafarer, shopper, spur, spiraea, siberia, sapir, super, sphere, sever, soap opera, saver, sapporo, sea gooseberry, sipper, safari, spire, scupper, skipper, shaper, sea power, skip over, spray, savior, shofar, sabra, supper, shakespeare, sober, shakspere, savoury, speer, suffer, sea spray, suspire, shophar, shover, sperry, sparrow, so far, shiver, savour, secpar, spyeria, spear, spirea, Sea Spurry, sapphire, Scauper, superior, severe, scoffer, sweep oar, shipper, sweep over, scuffer, spree, savor, spry, squeeze for, sushi bar, sweeper, Sopor, sophora, safar, supra, savory, sparer, spare, spore, soapberry, sapper, sprayer, sprue, saviour, spewer, savara, seborrhea, spyware, sufferer, saphar, SVR, subway fare, spar, shivery.